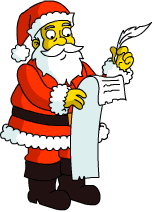 Here’s a little early Christmas gift for some of you…(and if you celebrate Chanukkah, well then this is right on time)…I’m going to help you plan ahead for the coming days of the Invasion before Christmas with your character donut budget. While I won’t always do this, Christmas puts me in a good mood (and this update is really good)…that I wanted to do something nice for you guys. Getting a lot of questions about if characters will be premium or not, so I figured…why not? Note: I’m only doing this for the characters because we already know (from looking in the character collection) what’s up ahead…so don’t ask me about buildings or decorations. As the spoiler policy remains on those…we won’t discuss until they’re physically in the game. And here’s the breakdown for you…. Also, another quick note. I’m intentionally waiting to do Should I Buy posts on Elf Lisa & Bart as well as the Peak Inn and Lyla. They’ll play a bigger role in Act 2, when they’ll actually earn the event currency they claim to earn, so I feel it’ll be more important to talk about the once they’re used at their full potential. So look for those posts shortly after Act 2 hits. Again, as a reminder, these are only what we currently see. Everything is subject to change by EA until it physically hits our games. So take the info with a grain of salt…and don’t yell at me if changes are made. Thoughts on the list? Which premium characters will you be picking up? Sound off below, you know we love hearing from you! 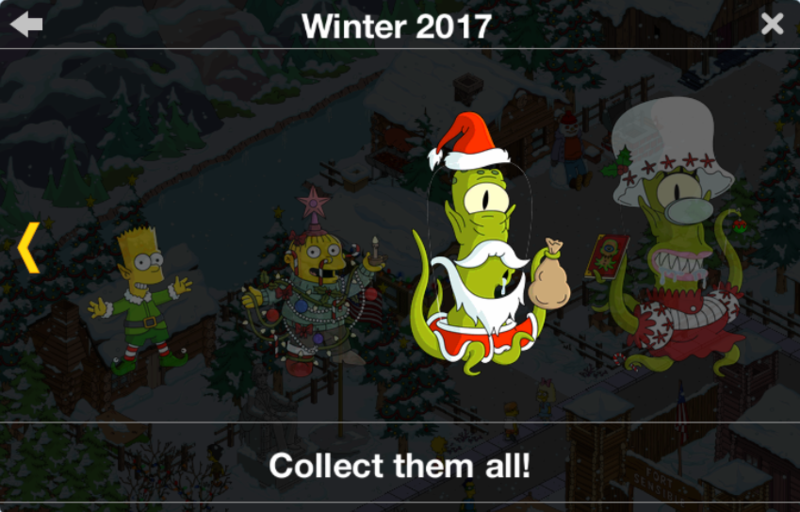 This entry was posted in Characters, Donuts, Tips and Tricks and tagged Premium Characters Christmas, Rigellian Christmas, Tapped Out Christmas Event, Tapped Out Kang and Kodos Christmas, Tapped Out Tips and Tricks, The Simpsons Tapped Out, TSTO Addicts, TSTO Alien Invasion Event, TSTO Christmas 2017, TSTO spoilers, TSTO Tips and Tricks, TSTO Winter Event 2017, will jesus be premium, Will Santa Be Premium. Bookmark the permalink. IF you don’t click on Gil, he will remain if you leave your town. So if you if you are waiting to buy Jesus, don’t click on Gil. 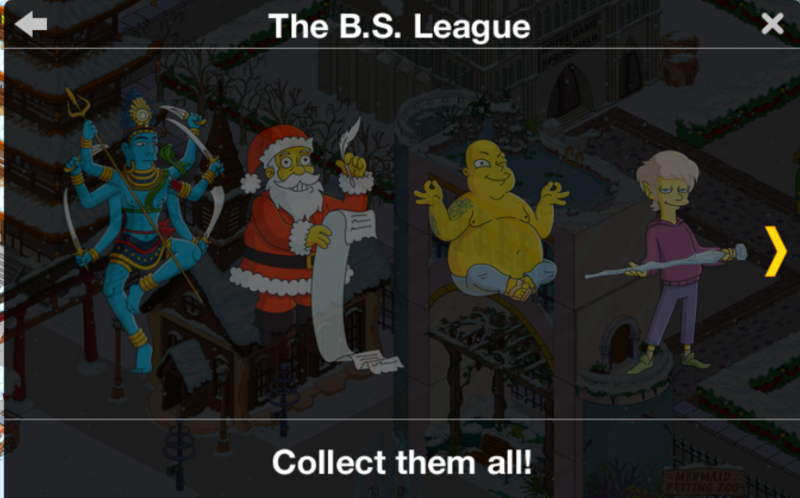 On one of my games it says Gil is still there and says you have 5d 12 h to get him. IF you don’t click on Gil, he will remain if you leave your town. So if you if you are waiting to buy Jesus, don’t click on Gil. People, I also got an offer by Gil about Jesus Christ. I tapped away to buy doughnuts. Then I couldn’t find Jesus anywhere anymore. I know how to get Jesus now. Good into build menu and simply scroll right to find Gil’s offer. Thank you, not sure why I didn’t figure that out on my own. Praise Jebus. 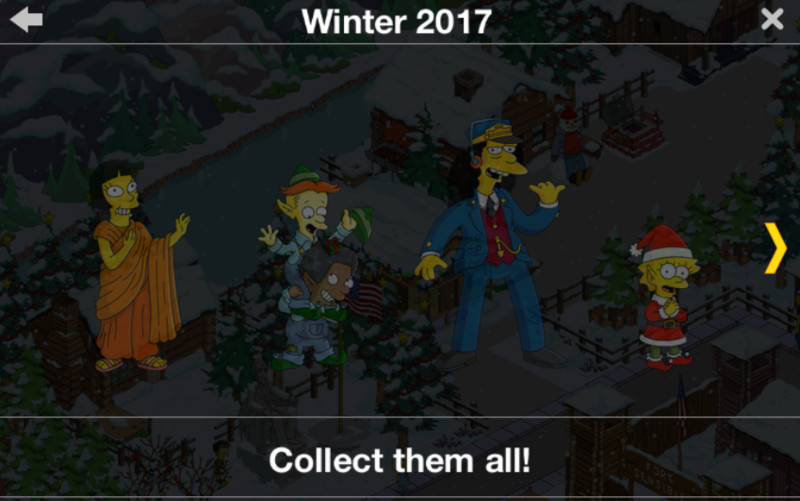 I had Gil pop up in my Springfield earlier offering me Jesus I clicked no by mistake & now I can’t find the offer anywhere 😧 Any idea on where I can find the deal? I can’t find him either. Maybe there will be a second coming of Jesus. 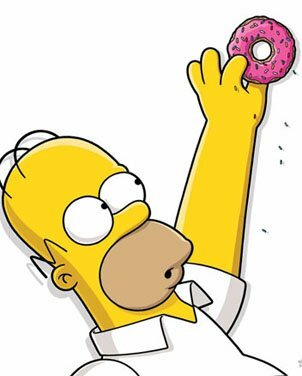 Oh, I promise there’ll be one… But will you be equipped with enough donuts when that happens? Go into build menu and simply scroll right to find Gil’s offer. Go into build menu and simply scroll right to find Gil’s offer! Gil’s Jesus Deal was offered today, and I am willing to pay the steep price for him. However, as soon as I went to purchase more donuts, he was no longer available. What happened, was it a now or never option. Will there be a second coming of Jesus, or is he gone forever during this event? Help! Oh. Wait. I know. He won’t show up until later this week. A question I’ve not seen answered yet – if I have fully completed Act I and have all the crafted “junk” I need, can I just stockpile wrapping paper for Act II? I don’t really care about earning donuts as I’m a dedicated KEM farmer. 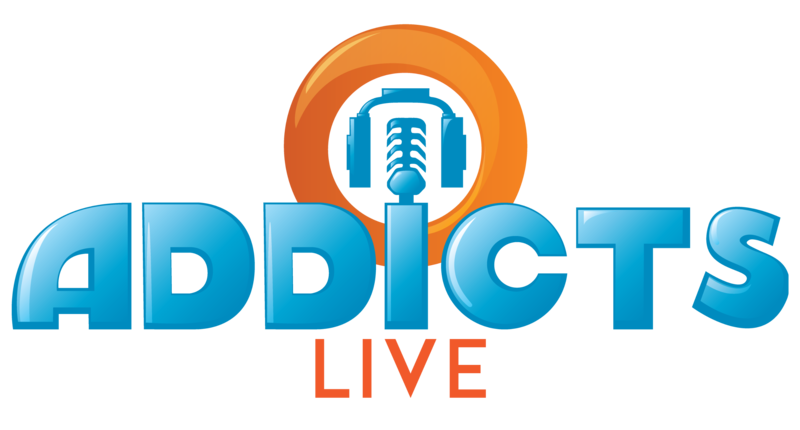 You probably just missed it, as it’s been answered in several comments and was discussed in yesterdays Addicts Live; but yes you can hoard wrapping paper and Daily Challenge rewards for Act 2. Thanks so much, Safi. I saw references to it but just couldn’t weed through all the posts to find the answer. you need to talk to your ad company, if I cannot read you site due to these ads, they will not help people continue to read your site. This is posted here as I could not read this article due to the third siting of some diabetes 2 ad. I feel like everyone, regardless of your religious beliefs, or non beliefs, wants JC in their game. 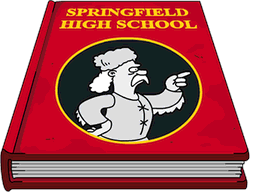 South Park has always done religion better, but without the Simpson’s there would be no South Park. It is Christmas time, and the holiday tips are starting to come in. I just wanted to ask Patric if there’s any current fund raisers going on right now. I’ve given a couple of times, but would like to go bigger while I have the cash to spend. If he could put up a link that would be awesome, and help my humanist soul. I have her singing in her “Dickensian Garb” inside the Snow Globe…as close to a holiday skin as she has. Everyone is singing except Homer, who is driving Santa’s sleigh non-stop till Christmas. Unless, of course, Santa takes over the honors in Act 2…that would be wonderful.❄️🎅❄️Would love to see Marge as an Elf..not sure what they’d do with all that hair…would need a reaaallyy tall elf hat. now I’m wishing I had gotten Praiseland while it was available! I have Praiseland, but no Maude statue to go with it. It makes my heart sick.